Last week I had the chance to visit Salesforce Tower again, to view a live broadcast of "TrailheaDX" teh Salesforce Developer Conference. The New York City viewing party was a blast, and I met a bunch of awesome developers and trailblazers. 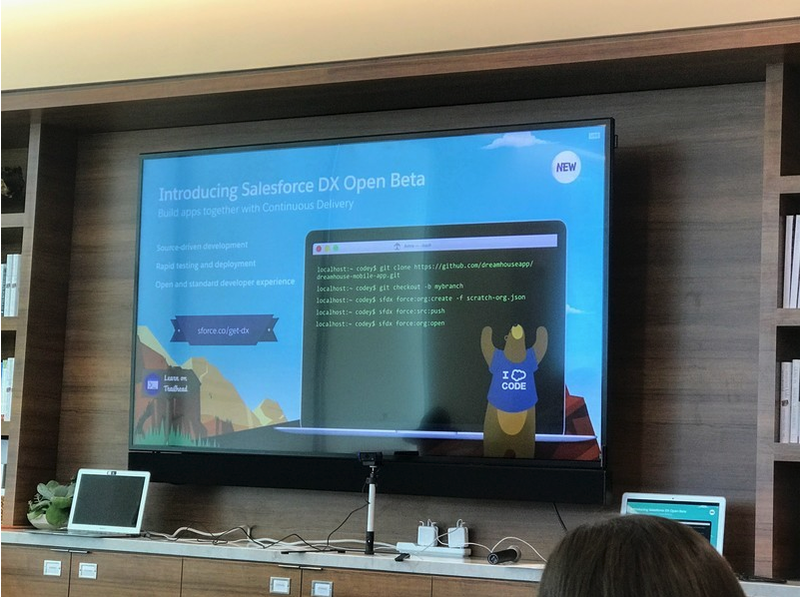 SalesforceDX is now in Open Beta, an integrated development environment build for Salesforce Application development.